There is a new sports podcast on the scene that is being run by three brothers of Phi Beta Sigma! The podcast, Jerseys & Dress Shirts currently has listeners in over 30 countries, has been mentioned by TMZ, NY Post, NY Daily News, BET and Complex and has so far conducted interviews with athletes including Torry Holt, Chucky Brown and Terrell Manning. 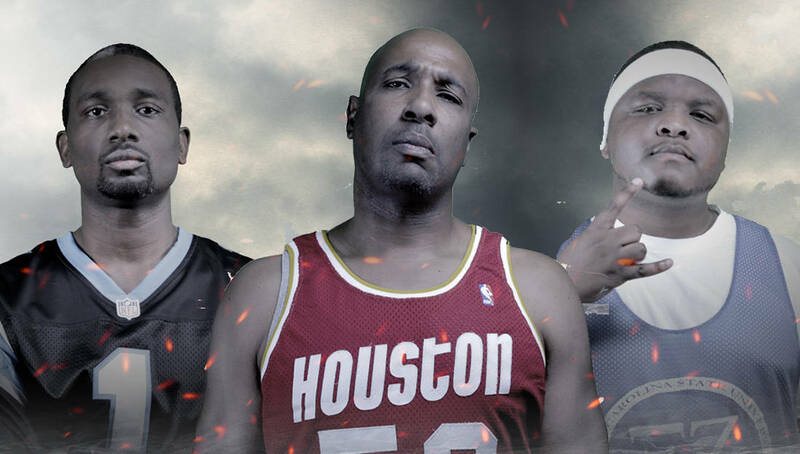 The show is hosted by retired NBA player Chucky Brown, MJ and Dale “The Lawyer”. All three are members of Phi Beta Sigma; Chucky and MJ were initiated through the Xi Zeta Chapter at North Carolina State University and Dale was initiated through the Xi Nu Chapter at East Carolina University. “All three hosts are members of Phi Beta Sigma Fraternity, Inc., but represent and convey viewpoints of different generations and cultures,” they told Watch The Yard in an email. Chucky Brown has played for the Cavaliers, Los Angeles Lakers, New Jersey Nets, Dallas Mavericks, Houston Rockets (where he became champion in 1994–95), Phoenix Suns, Milwaukee Bucks, Atlanta Hawks, Charlotte Hornets, San Antonio Spurs, Golden State Warriors, and Sacramento Kings. He has played for a total of 12 NBA teams and shares the NBA record for the most teams played for during an NBA career with Joe Smith, Tony Massenburg and Jim Jackson, so you already know he has some great stories to tell. The episode topics have been relevant and groundbreaking thus far. Their latest episode “Getting Doped Up: Drugs & Sports” was released just prior to the announcement of the NFLPA announcing a proposal to amend their drug policy. They also received a lot of buzz after Chucky told a story on the show about Charles Oakley once open-hand slapping Charles Barkley prior to a union meeting during the 1998-99 NBA lockout. The story was covered by TMZ and Complex. This Blu Phi podcast is definitely something we will be keeping our eye on in the future. You should too! Their podcast is available on iTunes, Google Play and SoundCloud.